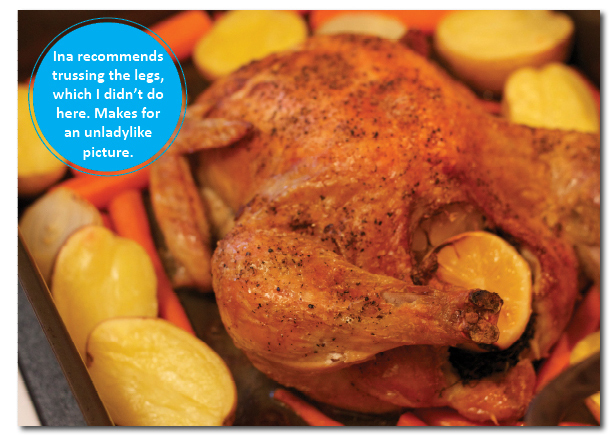 Council of Elders – Part I: Ina Garten’s Roasted Chicken a.k.a., The Meal That Brought My Vegetarian Daughter Back to Meat | Home Cooks Unite! As a self-taught cook, I rely on cookbooks, food magazines, websites and cooking shows to teach me how to make homemade meals for my family. Over the years, I’ve found myself drawn to certain chefs for their style in the kitchen and appreciation for the role food plays in every culture. They’ve taught me not only the technical aspects of cooking, but also that cooking is an art and an expression of love for the people we cook for. I began to refer to this group as my Council of Elders. Elders is a stretch. I may be the same age or older than a few of them. But I feel like they give me guidance. If I find myself struggling with the best way to poach a fish, or how to glaze a pork chop, I ask myself, “What would Eric Ripert do?” And voila! The answer comes to me. It’s a select group. 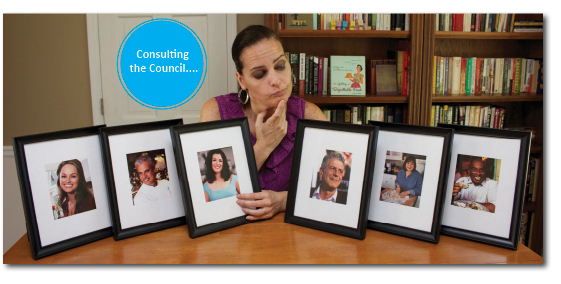 The Council includes Eric Ripert, Ina Garden, Anthony Bourdain, Nigella Lawson, Giada De Laurentiis and last but not least, Al Roker. Yes, Al Roker. His cookbook, Al Roker’s Big Bad Book of Barbecue, has fantastic barbecue recipes that are crowd pleasers every time I serve them. 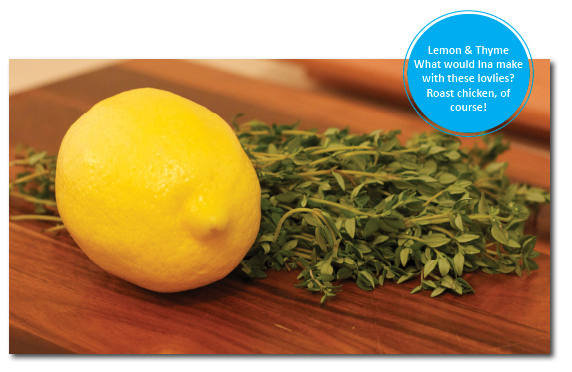 And so, I recently found myself in my kitchen, staring at a bunch of thyme and a lemon, wondering what to serve for dinner. Surely there was something delicious I could make with these items that my family would love. “Hmmm…. What would Ina do?” I thought, and voila! It hit me. Roast chicken. Ina’s roast chicken is legendary – crispy skin, juicy meat… it’s simple and delicious. In fact, it has been nicknamed “Engagement Chicken” because women who make it for their boyfriends often end up getting engaged. I was already married when I first made this for my husband, but it seriously took our relationship to another level. If I’m not mistaken, we sopped up every bit of gravy with rolls slathered with butter and talked about it for days afterward like it was a special night on our honeymoon. It’s also a transformative dish. At 11, my daughter decided to become a vegetarian. Her motives weren’t really clear, but I suspect it was because a friend of hers was one. After a year or so of eating no meat, she had a non-vegetarian friend over for Sunday dinner. Ina’s roast chicken was on the menu. When I brought the dish to the table, my husband, my daughter’s friend and I were in serious debate about the best way to divvy up the chicken skin. We were literally drawing lines on the bird with our knives when Gigi said, her eyes filled with tears, “I want some skin, too.” And that was that. Roasted Chicken = 1, Vegetarianism = 0. So, thank you, my Council of Elders. Thank you for teaching me how to bring my family together and make dishes they love and ask me to cook again and again. You’ve made my life delightfully more memorable, and I’m so grateful. And for crying out loud, thanks for bringing my daughter back to eating meat! Meals are much easier to plan! This recipe is adapted from Ina Garten’s The Barefoot Contessa Cookbook, a staple in my cookbook inventory. Lots of great recipes. Remove the chicken giblets. Rinse the chicken inside and out. Remove any excess fat and pat the outside dry. Place the chicken in a roasting pan. Liberally salt and pepper the inside of the chicken. Stuff the cavity with the bunch of thyme, both halves of the lemon and all the garlic. Brush the outside of the chicken with the butter and sprinkle with salt and pepper. Ina suggests trussing the legs here, but I never do that, as I tend to break the legs off when I untie it. Try it, if you like! Check the chicken to make sure its juices run clear when you cut between a leg and thigh. Remove to a platter and cover with aluminum foil while you prepare the gravy. Remove all the fat from the bottom of the pan, reserving two tablespoons in a small cup. Add the chicken stock to the pan and cook on high heat for about 5 minutes, until reduced, scraping the bottom of the pan. Combine the 2 tablespoons of chicken fat with the corn starch and add to the pan. Boil for a few minutes to cook the corn starch. Strain the gravy into a small saucepan and season it to taste. 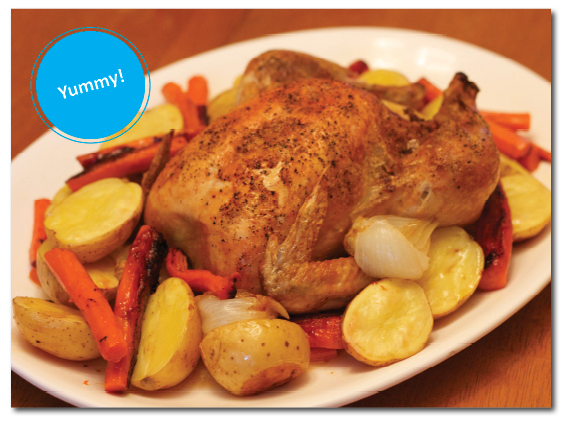 Slice the chicken onto a platter or serve it whole, surrounded with veggies. Serve immediately with warm gravy. Dee-li-cious! Take the carcass, the garlic, and the thyme and cook it in water to cover. Add salt and pepper taste, and throw in some celery or fennel if you like. Tiffany then went on to make soup by using the broth and leftover roasted chicken and carrots and adding barley and sauteed Brussels sprouts. Check out the pics Tiffany shared below. Looks delicious! Now I tend to avoid touching meat with my hands (yes, I wear gloves when making meatloaf or meatballs, lame I know) but this recipe sounds so deelish that I might even consider trying to make it myself, and lose the gloves. Love your blog Becky! Thanks, Becky! You’ll love it! So easy and delicious! You’ll love it, Kathy. Use all fresh ingredients! No dried thyme or garlic, and it will be great! Send me a pic and I’ll post it! 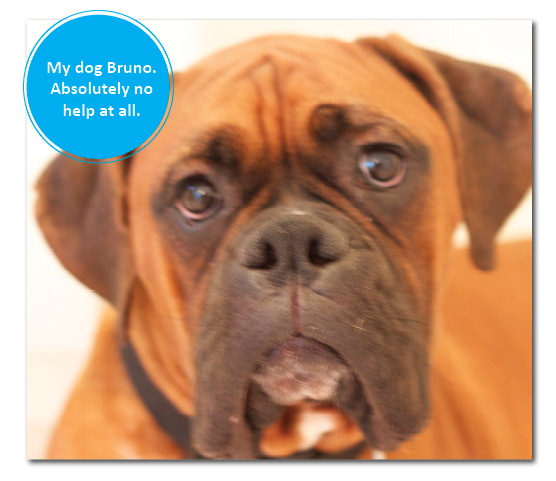 And say hello to Trent and Sheila for us. You gave me this recipe when I visited you when you were in your apartment in Georgia. Not sure what year pre-house was but I carried it with me talking about roasting a chicken for years. I finally made this recipe thanks to Priscilla’s house warming gift of a chicken and roasting pan when I moved into my new place. (I apparantly had talked about making this recipe for YEARS). It was amazing. So yummy. And even I can do it!